A friend of mine messaged me the other day. She was looking at a list of recommended Christian apps someone had posted and was curious to know which apps I use and recommend. There are a lot of great apps out there, but here are the ones I have on my phone (iPhone 4- I know, practically an antique! ), use regularly, and highly recommend. And, as far as I know, they are all still FREE! These apps (or very similar ones) are also available for Android unless otherwise noted. Bible Gateway– This app has the whole Bible in many different translations. Several of the translations are also available in audio format so you can listen to the Bible as you drive or do other activities. There are Bible reading plans (you can even set daily reminders) and other helpful resources such as devotionals, commentaries, Bible dictionaries, encyclopedias, and study Bibles. If you only get one Bible app, get this one. 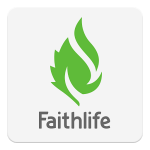 Faithlife Study Bible– A wonderful study Bible with copious notes, charts, articles, maps, photos, and even videos. It comes with several free translations (the Lexham English Bible is their default translation, and a good one), an audio feature, daily devotions, and community groups you can join. 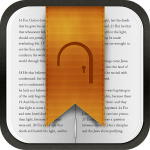 ESV Bible– This is a great, simple ESV Bible app. The downloadable Global Study Bible provides helpful notes, background information, and character sketches of people in the Bible. The best feature of this app is that it contains 16 different Bible reading plans – including a Scripture memory plan – of varying length. Olive Tree Bible Study– The interface can be a bit tedious, but the library of resources, the best feature of this app, more than makes up for it. There are dozens, maybe hundreds, of commentaries, Bible dictionaries, maps, theological books, and even biographies you can download absolutely free. The Bible portion of the app is ESV default, though there are other downloadable versions. Bible reading plans and study notes are also standard. Logos Bible Software– Logos is the parent company to Faithlife, so you’ll find some similarities between the two apps. Logos, however has far more available free resources including numerous translations, commentaries, handbooks, several Bible studies, study Bibles, and theological books. A great feature of Logos is that many of its resources are available in languages other than English. 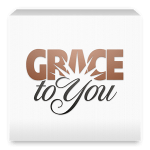 Grace to You Bible Study– A streamlined Bible app from Pastor John MacArthur. Most of the resources, including sermons, articles, Q & A, and study Bible notes, are available only for New Testament passages. Not available for Android. 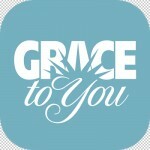 Grace to You Sermons– Dr. John MacArthur has been preaching for over forty years, and I think this app has just about all of his sermons! Available in both audio, and in many cases, video format, you can search sermons alphabetically, chronologically, or by Bible passage. This app also contains a daily Bible reading plan, daily devotionals, and GTY blog articles. 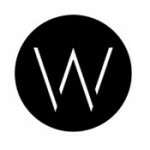 Wretched– Wretched is a daily Christian issues radio program hosted by Todd Friel. On the app, you can listen to the show, view YouTube videos from the Wretched TV program, visit the WretchedRadio web site, and check out evangelism resources. Not available for Android. 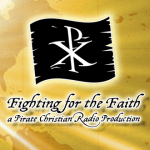 Fighting for the Faith– This is not a stand alone app, but an excellent Christian radio show I upload to my podcast app. Hosted by Chris Rosebrough, Fighting for the Faith centers around sound Bible study and preaching, current issues in evangelicalism, and discernment. It can also be accessed at the Fighting For the Faith web site. I can’t recommend this one enough.